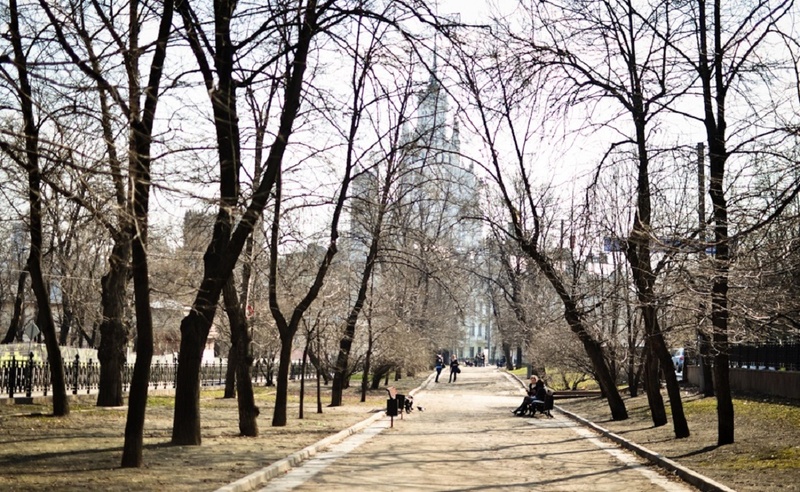 We’re back with our traditional overview of new places in Moscow. This time, we present restaurants and cafes that opened in the city this March. A new restaurant is located on the Tsvetnoy Boulevard, preceded by a six-meter sculpture of a valenok (traditional Russian wool boots). The basis of the menu is- Russian foods: fish from Murmansk, beef from Bryansk, rabbit from Voronezh and vegetables by Russian farmers. The restaurant has two levels, which can accommodate up to 340 guests. There are several zones; a couple of tables for large companies. Russian tea-parties with samovars will be held here. In the evenings, it will be used for concerts. 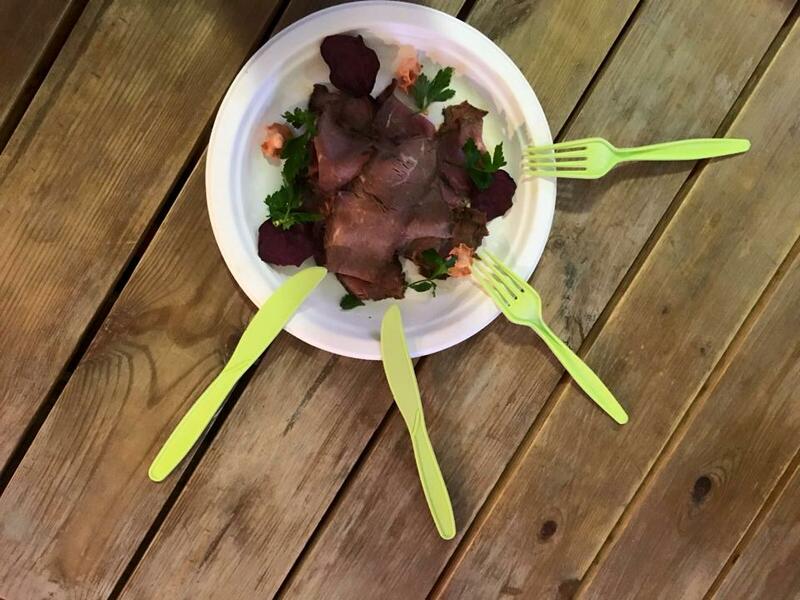 What to eat: forshmak – 350 rubles (€4.84), Caesar salad with shrimp – 850 rubles (€11.75), beef cheeks with vegetables – 750 rubles (€10.37), braised rabbit leg with couscous – 550 rubles (€7.60), dumplings with potatoes – 350 rubles (€4.84), home-made noodles with braised lamb – 450 rubles (€6.22), duck leg confit with braised cabbage – 550 rubles (€7.60), Murmansk cod with mushroom cream – 750 rubles (€10.37), Moscow butter toast with jam in the – 250 rubles (€3.46). 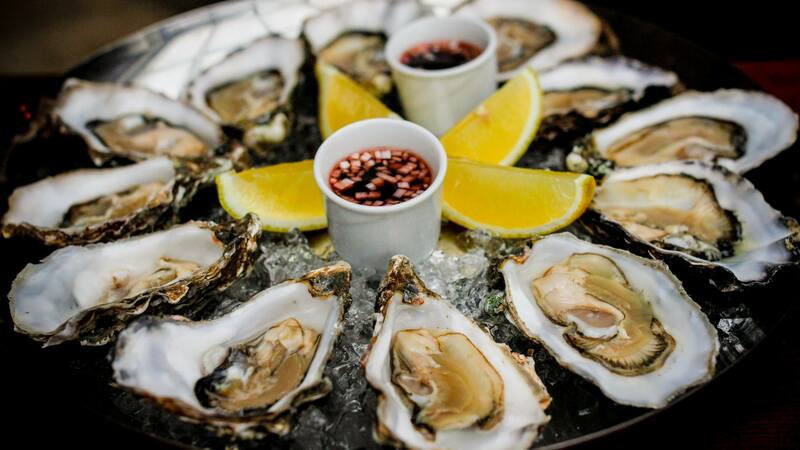 The main attraction of the restaurant is more than 40 types of sea, river and ocean inhabitants. 90% of them have Russian origin: omul from Baikal, herring from Sosva river, toothfish comes from Arkhangelsk, mullet – from Kerch, goby – from Balaklava. Tuna and Dorado, as well as Argentine shrimps come from abroad. The menu has a separate section for dishes prepared by sashimi technology, such as ceviche from sea bass, steak from Whitefish, Murmansk scallop carpaccio, white salmon tartare with sea buckthorn oil cake. What to eat: bruschetta with Crab – 490 rubles (€6.77), fresh cod liver with pickled Yalta onion – 550 rubles (€7.60), sliced sturgeon – 580 rubles (€8.02), whitefish with millet and lemon oil – 580 rubles (€8.02), Rostov crayfish in a secret marinade – 2500 rubles (€34.56), warm salad with squid and cuttlefish – 580 rubles (€8.02), phalanx of red king crab with melted butter and garlic – 500 rubles (€6.91), fettuccine with langoustine – 760 rubles (€10.51), oysters – 300-480 rubles (€4.15– €6.64). Cafe and shop at the Danilovsky market where you can buy packaged food portions, ready-made meals and products. The menu here will vary depending on the season and availability of goods. The assortment includes seasonal vegetables from the Nicola-Lenivets farm, handmade fresh pasta by Pasta Fresca di Kris Menshikova, dairy products and cheeses, as well as meat and poultry come from local farmers. Presently, the menu has pastrami pork, roast beef, perch on the grill, homemade sausages, pates and soups. 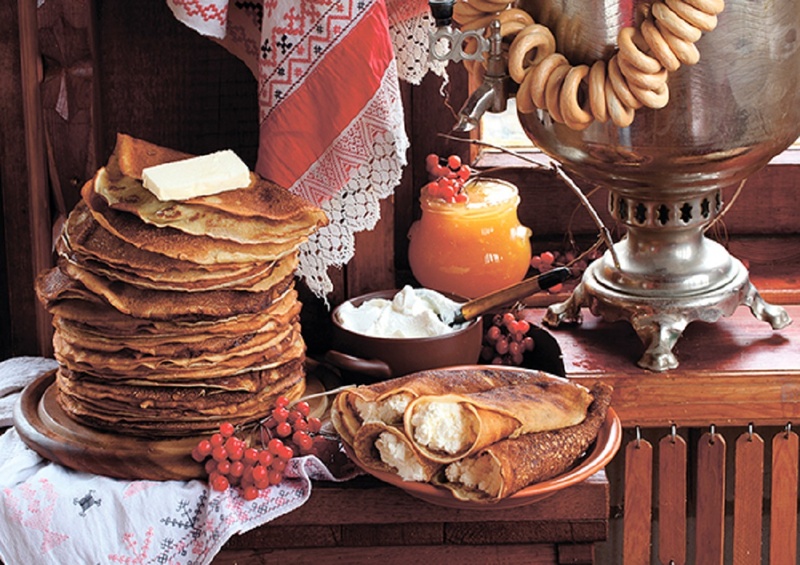 What to eat: pumpkin cream soup -250 rubles (€3.46), home cutlet with caramel sauce – 350 rubles (€4.84), roasted cottage cheese with sea buckthorn sauce – 350 rubles (€4.84), homemade sausages on the grill – 350 rubles (€4.84), fettuccine with boiled pork in tomato sauce – 350 rubles (€4.84). One of the world’s most famous confectionery brands has come to Moscow. French Patisserie Ladurée opened at Malaya Bronnaya. The entire interior of the Moscow patisserie meets international guideline: the same colors, elements and finishing materials, including natural wood and marble. 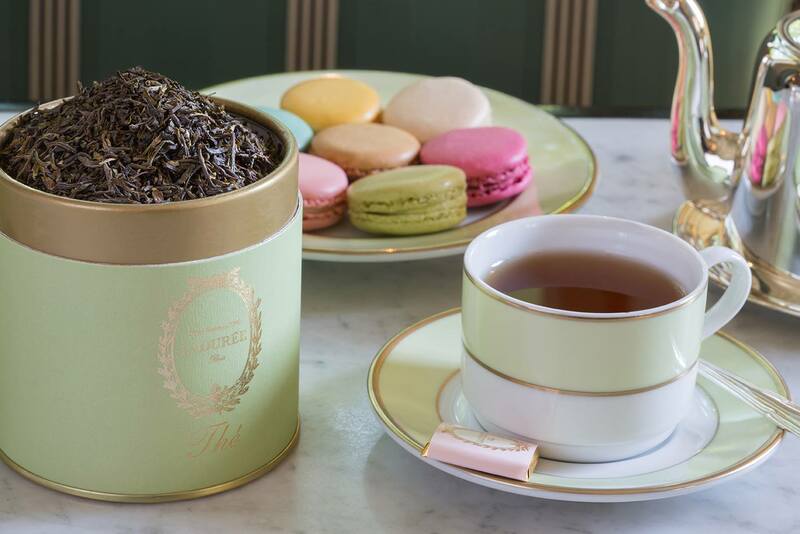 The menu of the Moscow confectionery includes 15 flavors of macarons, almond cakes, chocolate, jams, nougat, and tea. 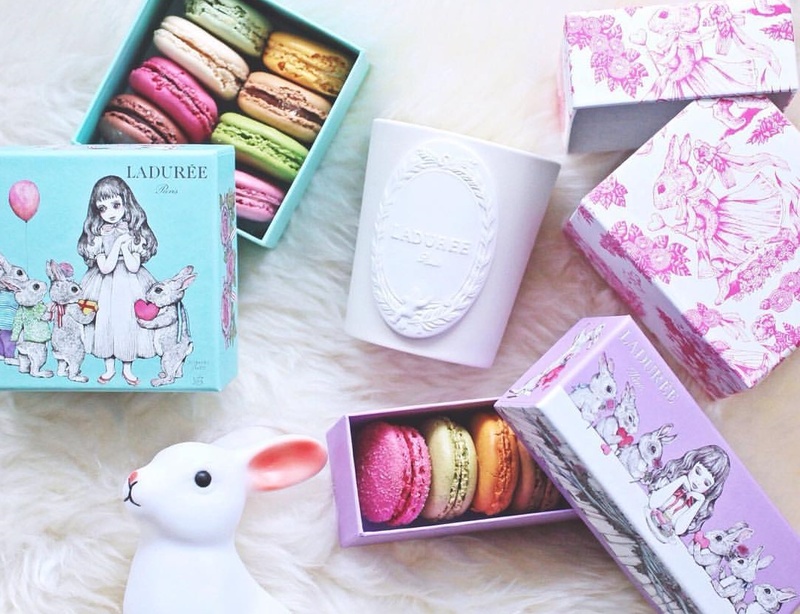 Also, here you can buy Ladurée branded accessories – scented candles, bags and key rings. The place is small, but there are seven tables and 17 seats for visitors. What to eat: macaroni – 225 rubles (€3.46), box of six macarons – 1 850 rubles (€25.58), French toast with rose syrup and whipped cream – 650 rubles (€8.99), coffee – 220 rubles (€3.04), red and white wine – from 390 rubles (€5.39) per glass. 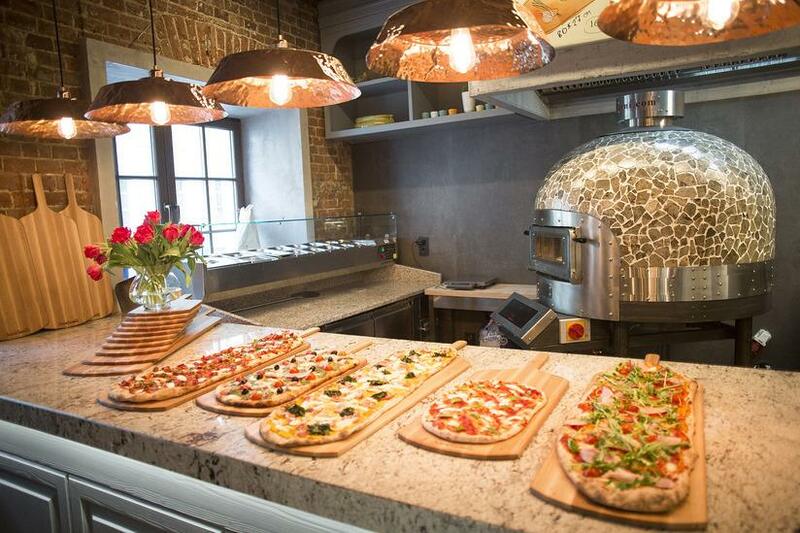 The restaurant makes the Roman version of pizza – thin, crispy. Its name ” scrocchiarella ” is translated from Italian as crunchy. There are four sizes of pizza. The price depends on the size, not the fillings. You can choose from 15 types, such as pepperoni, tuna, artichokes and cherry tomatoes; ham and salad iceberg; bacon, smoked suluguni, pumpkin sauce and spinach; with roasted turkey, mascarpone, apple and pomegranate or kebab lamb and jalapeno. The pizza is served on a wooden board. Also, there are pasta and soups. What to eat: a piece of pizza with salmon and prawns – 260 rubles (€3.59), average pizza with tuna, pepperoni and artichoke – 1250 rubles (€17.28), a large pizza with pumpkin cream sauce and bacon – 1600 rubles (€22.12) (weighs about 2 kg), pasta with mushrooms and cream sauce – 390 rubles (€5.39), minestrone – 290 rubles (€4.01). Symposy derives from the word symposium, which is translated from Greek as a feast. The place wants to revive the idea of live discussions with wine and turn to a democratic genre of a place to spend time discussing your affairs. 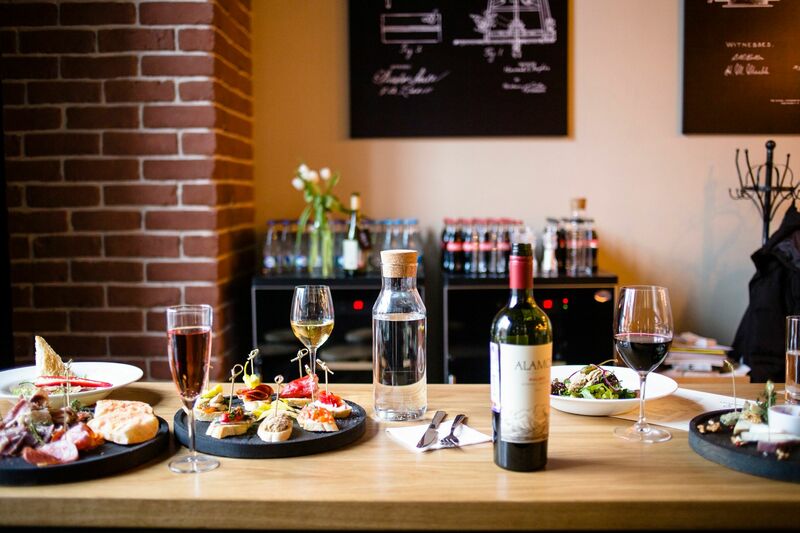 In fact, Symposy is a self-service bar, where you can enjoy wine and food in a small room with a closely spaced wooden tables. There are about 30 positions of wine, half of them can be taken by glass. The food menu mainly includes the Spanish appetizers. On weekdays the place serves lunch: 250 rubles (€3.46) for a salad, soup and beverage, a hot option will cost 450 rubles (€6.22). What to eat: salmon with curd cheese- 100 rubles (€1.38), enchilada with chorizo – 300 rubles (€4.15), tuna tartare – 600 rubles (€8.30), sweet peppers with goat cheese – 100 rubles (€1.38), cuttlefish in ink – 450 rubles (€6.22), salad with roast beef – 350 rubles (€4.84), French red wine – 200 rubles (€2.77) per glass, white Austrian wine – 2 900 rubles (€40.09) per bottle, sparkling wine – 400 rubles (€5.53) per glass. 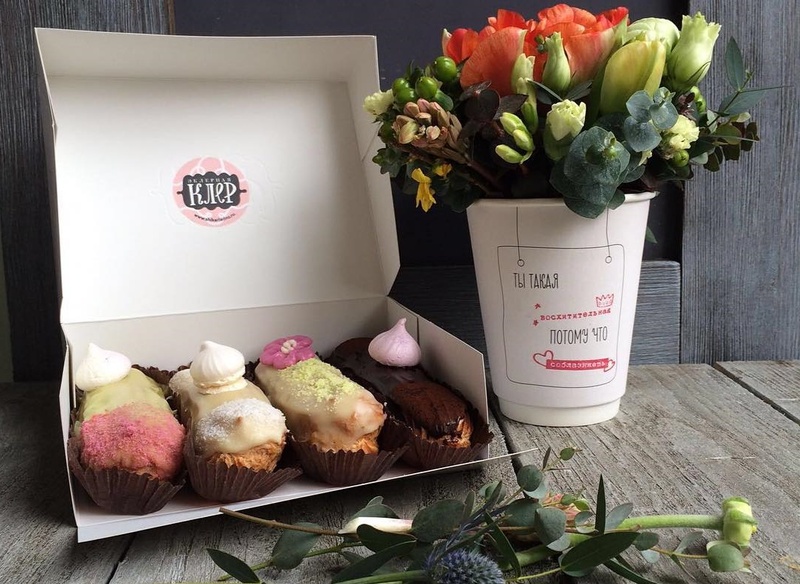 The confectionary Eklernaya Kler has its own pastry shop, where eclairs and other desserts are baked for the cafe. The fresh desserts are brought to the here several times a day. The new place is quite small and is designed mainly to work takeaway -there are only two tables and a windowsill. Here you can try eclairs with Madagascar vanilla; espresso with chocolate; lemon cream with blueberries; dark chocolate with meringue; raspberry white chocolate; cranberry and rosemary. Besides, the assortment includes buns and cakes to order, for example, the pyramid of profiteroles or high geometric design cakes with chocolate and pastries pasta. What to eat: Swedish buns with cardamom and cinnamon – 100 rubles (€1.38), eclairs – 150-170 rubles (€2.07– €2.35), espresso – 100 rubles (€1.38), cappuccino – 150 rubles (€2.07), a pyramid of profiteroles – 6 800 rubles (€94.02).